Google Pixel is a great success on the market with millions of units shipped worldwide. First debuted back in 2016, the Pixel and Pixel XL received mostly positive reviews, with most users praising their stunning design and excellent camera performance. Last year, the Pixel 2 and Pixel 2 XL followed in the footsteps of the first models, surpassing the likes from Samsung and Sony in term of adoption. Google has a tradition of unveiling the new Pixel phones and hardware products at its #Made by Google event, however, the event was slightly delayed to October 9th this year. The Pixel 3 and Pixel 3 XL officially took the center stage at this year’s event alongside Google Home Hub and Pixel Slate. In reality, we heard a lot of rumors regarding the third generation Pixel phones prior to the event, so there were a few surprises when it came to this year’s Pixel 3 and Pixel 3 XL. The new Pixel phones will serve as Google’s strategic plan to take on the Apple iPhone XS and iPhone XS Max this year. It’s hard to tell who wins this year, but we will help you find out which one is right for you in the section below. For some background, the Pixel 3 and Pixel 3 XL will be available on October 18 in the US and November 1 in the UK and Australia. Google says that both devices will come out in more markets by the end of the year, including France, Germany, Japan, India, Ireland, Singapore, and many more. Meanwhile, the iPhone XS and iPhone XS Max have been in the hands of the community for nearly two weeks, with praise directed at their improved performance and stunning screen. In reality, Google Pixel lineup has not seen an overhauled design since the launch day as Google mainly focuses on under-the-hood improvements. This year, Google has added some trending elements to its Pixel series like a top notch or wireless charging. In reality, smartphones with notches are becoming more popular out there with big names rushing to adopt those display cut-outs. The addition of top notches gives the Pixel 3 and Pixel 3 XL a premium look. 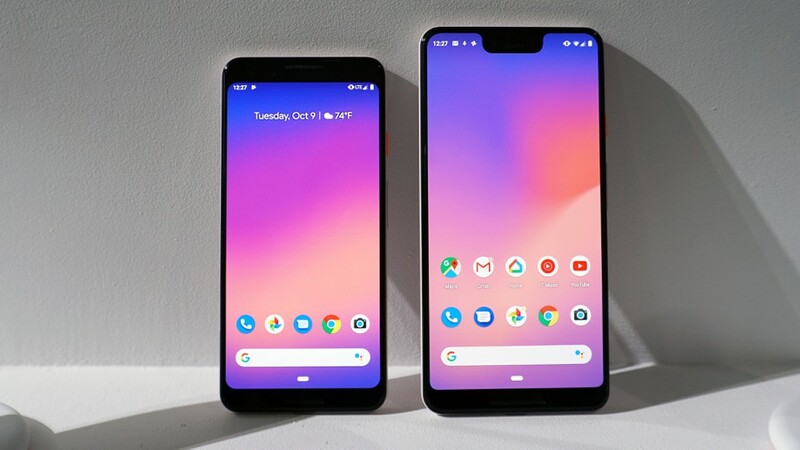 However, the Pixel 3 and 3 XL have one single design flaw, which lies in their notable bezels. In reality, most smartphone brands out there tend to cut down the bezels on their devices, but Google is trying to maintain its outdated design language this year. It seems that Google has lost its confidence, rushing with the release of the Pixel 3 and Pixel 3 XL. Pixel 3 XL with its large notch and bottom bezels makes it heavier than the iPhone XS Max. Meanwhile, the iPhone XS Max retains the stunning design from the last year’s iPhone X with its nearly bezel-less front and glass-back body. Besides, Apple iPhone XS Max offers a premium look and more comfortable hands-on experience thanks to its stainless steel chassis. The Pixel 3 XL, on the other hand, features the aluminum chassis. In reality, we notice that the Pixel phone is a bit slippery, so you will need to get a phone case if you don’t want to see your phone fall into pieces. Besides, both devices feature stereo speakers for better sound quality. This year, Google keeps up with the latest design trend with the addition of a top notch. In reality, big names like Google and Samsung mocked at Apple for the iPhone X’s notch last year, but this year, Google finally embraced the display notch on the Pixel 3 and 3 XL. This adds up to previous reports saying that the iPhone X’s notch boosts the adoption of the display notches among Android manufacturers. The Google Pixel 3 sports a 6.3-inch OLED display with a resolution of 1440 x 2960 pixels. LG Display is now Google’s sole supplier of OLED panels for Pixel phones. Last year, both sides reached a mutual agreement which would see Google invest billions of dollars in LG’s manufacturing facilities. The iPhone XS Max, on the other hand, is the largest iPhone ever made with a 6.5-inch True Tone OLED display. Both displays support HDR, allowing for better picture quality and more details. In reality, it’s hard to tell which one wins this round as both sides offer stunning displays. One of the best highlights of the Google Pixel phones lies in their excellent camera performance. This year, Google has pushed a lot of boundaries when it comes to the cameras. Specifically, the Pixel 3 XL retains the single camera setup with a 12MP f/1.8 shooter and larger sensors. The iPhone XS Max, on the other hand, sports a dual-camera setup with two 12MP shooters at the rear and AI support. The cameras on the iPhone XS Max feature smart HDR that automatically lightens your photos even in low-light conditions. Meanwhile, Google uses machine learning to spice up your photos. 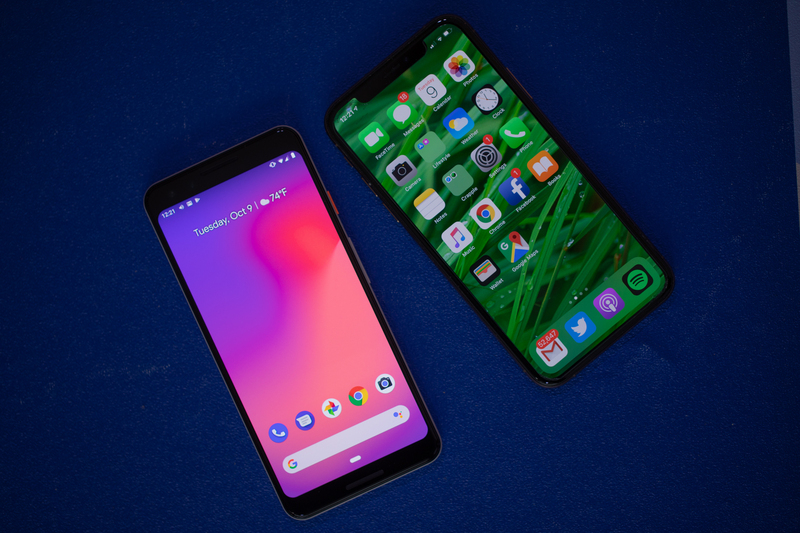 Basically, both devices offer stunning photos, but it seems that the Pixel 3 XL has its upper hand over its rivals thanks to its exciting AI features. Specifically, the Pixel phones come with a number of AI features including Top Shot, Night Sight, and Super Res Zoom which offers a much-improved photo quality. 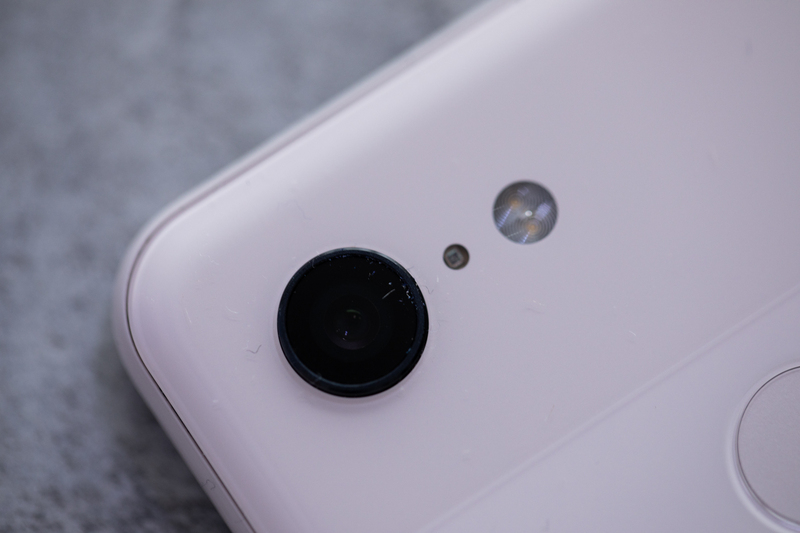 On the front, the Pixel 3 XL features a dual 8MP snappers for better selfies, while the XS Max retains the True Depth front-facing camera which allows for smarter Face ID. The iPhone XS Max and Pixel 3 XL are the best offerings from Apple and Google this year. It’s hard to tell who wins this fight. Don’t forget to share with us your thoughts on which model you should buy in the section below.